For those who have followed By Quiet Waters for a long time, maybe even back to my blogspot days, you may have seen reference to our correspondent sponsorships. Letter writing is an important part of child sponsorship through Compassion International and sponsors are highly encouraged to participate. Through the letter writing opportunity that sponsorship provides, we are able to encourage, bless and even disciple the children. Wonderful relationships can develop between sponsors and sponsored children through the letters. Why all this focus on letter writing? 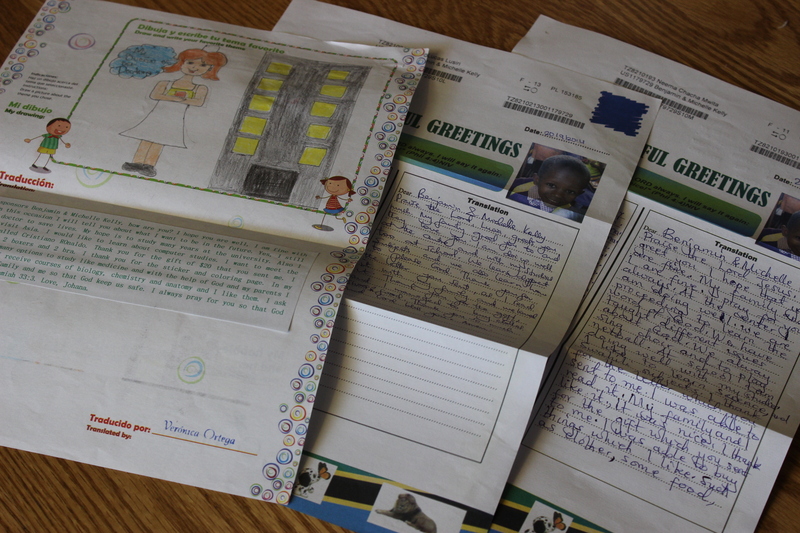 Letter writing is the way to build relationships with our sponsored children. Just like writing a letter or sending a card to one of our own children, or a friend, the thoughts and encouraging words strengthen the relationships. In our letters we can nurture the dreams that are shared by the children, we can expand their imagination and knowledge of the world by writing about our own areas and sending photos of places we visit. One can also chose themes and write a series on animals in the world, the fruit of the Spirit, or inspiring people in history. What if a sponsor can’t write? Even though the letters are a very important part of sponsorship, at times sponsors are unable to correspond with their sponsored children. Sometime children are sponsored by a business or organization, when that happens, they might actually sponsor a large number of children. The financial support is given but letter writing isn’t possible. Rather than have these kids miss out on the blessing of exchanging letters, they are put on a list to be connected with other sponsors who are able to do the letter writing. The children are then assigned to Correspondent Sponsors. This is a ministry that our family has enjoyed. Currently my husband and I correspond with 10 children in addition to our sponsored kids. It is something that I particularly enjoy doing, it is my kitchen table ministry! For the most part my husband writes to the boys and I write to the girls. But every few months I write a letter to all the kids. 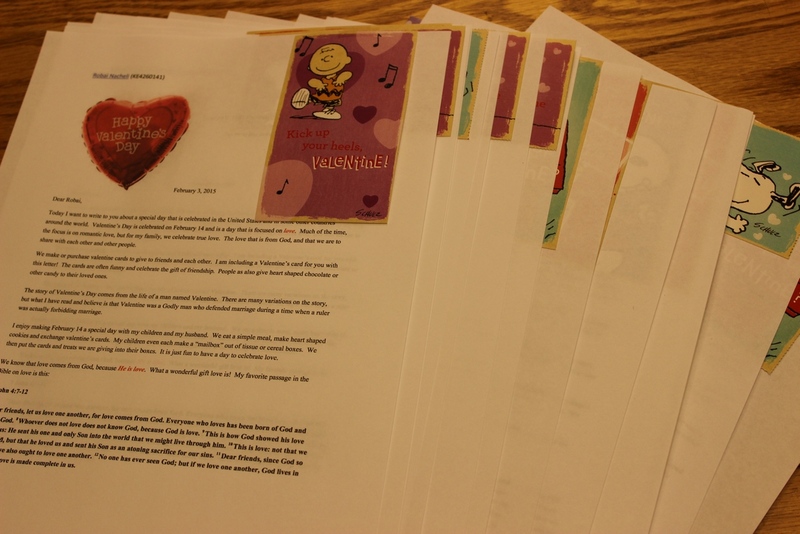 For example last year I wrote a Valentine’s letter on love, and during the summer I wrote to all the kids telling them about the Grand Canyon, which I visited in June 2015 with my children. For letters like these, Sometimes I use the online writing tool. It makes it a little simpler to send a similar letter to each of the children. If you are a current Compassion sponsor, you may have an online account. If you don’t, contact Compassion at (800) 336-7676. They can walk you through setting up the online account. From that account you can access the online writing tool. Maybe even more convenient? There is a Compassion app, from which you can write letters and attach photos right from your phone or tablet! If you are interested in becoming a Correspondent Sponsor, just call Compassion International at 1800-336-7676 and let the representative know. If you are interested in sponsoring a children through Compassion, you can do so online by clicking here, or email me and let me know how I can help you or answer questions. I loved your post!! Our family has also grown though correspondents. What a great way to bless Karen. You could also look into buying thin workbooks in Spanish. So long as it’s smaller than 1/4 inch, you can send the whole book!! I find a lot of stuff on amazon and in the dollar store. Of course, Spanish might be a little harder to find. Thank you for the encouragement Hannah! We will be at Michaels later today, I’ll look there in their summer aisle for some little books. Have you found Spanish at the dollar stores? I rarely go to those stores (I have a very specific route during the school year that doesn’t include more than 3 regular stores).